Compromise, tolerance, understanding, acceptance, patience – all these are very sharp tools to live a happy life. But if the soldiers start to compromise on the task given to them, will be unrelenting devotion to the standards of duty and loyalty to others. Normally, it is said that one should compromise in life. One should. Do you know that if you start compromising, what will happen? At the same time, the ability to compromise is not a diplomatic politeness towards a life partner but rather taking into account and respects your partners’ legitimate interests. Another factor is that if we limit our choices only to what seems possible or reasonable, we disconnect ourselves from what we really want and then all that is left is a compromise. 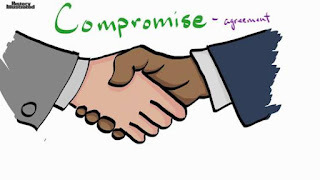 In fact, compromise is usually a sign of weakness or admission of defeat. Strong men don’t compromise and it is said, principles should never be compromised. Ludwig Erhard has given a very good example of compromise. He said, “A compromise is an art of dividing a cake in such a way that everyone believes he has the biggest piece”. Some people are of the view that it is better to be poor and happy than rich and miserable through a compromise like moderately rich and just moody. There is definitely a thin line between the compromise and confrontation with a calculated risk and irresponsibility and capitulation. There is a terror of terrorism throughout the word and but it has never been accepted. There is a need to fight against it together, with methods, strategies that do not compromise our respect for the rule of law and human rights. No doubt, the wise choices can put us in control of situations where we might otherwise be tempted to compromise our principles. Sometimes, we cannot control all that happens to us. However, we can choose to be in control of our responses to get the best results and to end the long-standing conflict going on within our mind. Everyone’s marriage is different but everyone’s marriage is a compromise. My association with the martial dispute cases, at Women’s Counselling Cell in Community Police Resource Centre, where a compromise is also based on giving and take on fundamentals but it moves slowly in the right direction and I feel, for quick results, we enter into the confrontation which ends with no domino effect. 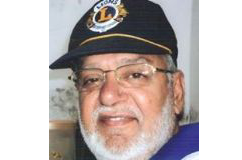 My father never compromised in his life over the principles of ethics and he was a successful man rather a man of examples now. Had he compromised, he would not have been a part of discussions among the old-timers who were quite close to him. Frankly speaking, compromise make a good umbrella but a poor roof, it is temporary expedient, often wise in party politics almost sure to be unwise in statesmanship. If you compromise what you are trying to do just a little bit, you will end up compromising a little more the next day and this process will continue in your life and you will be conditioned to this. But if you lift your head you are suddenly really far away from where you are trying to do. If you read the word ‘compromise’ by bifurcating it, it gives you a new thought – Come Promise – with a clear message to reach your goal by doing the things for which you promise with yourself.